Online pirates are generally not known to be the most law-abiding citizens. However, they certainly have their own set of standards. Scene groups, for example, have to follow a strict set of rules which define how they are supposed to share their booty. Further down the piracy pyramid, we find P2P distribution groups. These operate out in public, making sure that scene releases find their way to the masses on a regular schedule. ETTV is one of these groups. 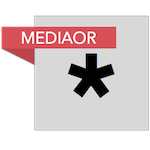 Specializing in the latest TV content, it uploads dozens of scene releases to public sites, including their own. The group prides itself on its selection and speed, something appreciated by millions of pirates. While ETTV is running steady, the site’s operators have one major nuisance. EZTV, one of their main ‘competitors’, is releasing ‘their’ content without permission. While the original EZTV shut down following a hostile takeover, the people who took over are still serving torrents to millions of people every month. And according to ETTV, many of these torrents are sourced from ETTV. To show their discontent, ETTV recently added a fake torrent to their feed. Specifically, they uploaded a rather explicit adult film, disguising it as the latest “Taskmaster” episode. As can be seen below, the title comes with an additional message: “EZTV and TGX stop ridding our releases,” which made its way onto the EZTV site. The fake release has since been removed from EZTV’s website but ETTV didn’t stop there. Another fake release appeared on Thursday, disguised as a Mr. Mercedes episode. However, as several commenters noted, this was something entirely different. Looking at the various release feeds, it indeed appears that EZTV, in particular, is a near copy of that of ETTV. The main difference is that the torrents appear a few minutes later. 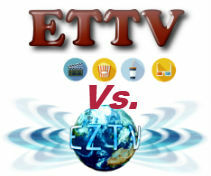 TorrentFreak reached out to ETTV, who told us that they decided to take a stand because they are tired of EZTV’s antics. “They are always using our content and we are getting tired of it. If you want to be a distribution group you should be getting your source files privately,” ETTV says. While ETTV is a bot that operates mostly automated, this process is certainly not free. The group pays various sites which offer scene content, so they can access these files. Of course, ETTV itself also uses the ‘work’ of others, including scene groups (and movie studios), but it stresses that it’s not okay for one public distribution group to blatantly copy from another. “We owe them nothing and don’t want anything from them either,” ETTV says. The other group that was called out in the fake release is TGX. However, as far as we’ve seen these fake releases were not republished with their tag. TGX did use torrents from ETTV’s feed earlier. Whether EZTV will be bothered by the accusations is doubtful. The group doesn’t have the best reputation after the hostile takeover of the original EZTV, and copying YIFY and ExtraTorrent, but most of their visitors don’t seem to care. This isn’t the first time a ‘fake’ torrent has made its way onto EZTV’s website. A few weeks ago we already reported on a similar incident, which ETTV had nothing to do with.